Home Page | Cohn & Goldstein, P.C. We listen, we counsel and we care. In 2013 we negotiated and completed a commercial lease for a tenant in an office building in New York, NY. In 2012 we were involved in a multi-million dollar sales transaction of a Long Island nursing home and the land on which it is located. In 2012 we negotiated and completed a commercial building lease in Suffolk County for a tenant manufacturing company. In 2012 we negotiated and completed a commercial lease for a tenant in an office building in Jericho, New York. In 2010 we negotiated a settlement on behalf of the estate of a deceased person whereby the estate recovered in excess of $3,500,000 as a result of litigation we commenced in the Nassau County Surrogate’s Court. The firm of Cohn & Goldstein, P.C. located in Woodbury, New York, was founded by the late Irving A. Cohn, Esq. 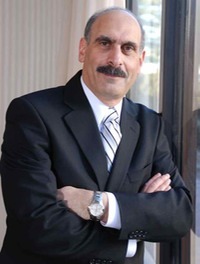 Allan D. Goldstein, Esq. joined Irving in the law practice in 1979 and thereafter became his law partner. Cohn & Goldstein, P.C. is a “21st” century law firm that treats its clients as individuals and believes that its clients, whatever their needs, be treated with respect and personal attention. Our motto is “we listen, we counsel and we care”. We take the time to explain your legal concerns and answer your questions. We are only a phone call or “click” away. Commercial matters: business matters, including preparation of contracts; purchases and sales of businesses; formation of limited liability companies, corporations and partnerships; and preparation of shareholders, partnership and operating agreements, etc. Estate Planning: preparation of Wills, Trusts, Health Care Proxies, Powers of Attorney, Living Wills, etc. Estate Proceedings: including, probate proceedings for persons dying with a Last Will and Testament; administration proceedings for persons dying without a Last Will and Testament; and other appropriate estate proceedings. Health Law: representing nursing homes, and medical and dental providers with respect to contracts, guardianship proceedings, collection matters, real estate, as well as other institutional and professional healthcare practice needs. Litigation: commercial, estate and general litigation. Real Estate: purchases, sales, leases and refinancing of mortgages for residential and commercial properties.